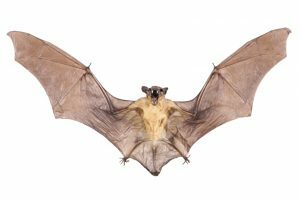 A report came that a person in Florida in the united states has died from rabies after he was bitten by a bat. The Florida department of health confirmed the case on Oct. 31, 2017. It was gathered that the individual died after rabies infected bat bit him and he did not urgently seek medical treatment. According to the U.S Department of Health and Human services, a succession of four doses of the rabies vaccine can protect people after they have been exposed to rabies, but only if they receive the first dose of the vaccine immediately after they are exposed. Why do we need to get vaccinated immediately after rabies exposure? Dr Amesh Adailja, an infectious disease specialist and senior associate at the Johns Hopkins center for Health security, said the time it takes for the symptoms to appear depends on a person’s body where the bite take takes place or the parts that is expose to the virus, the immune system and severity of the wound. Rabies enters the body through a bite, then travels along the long chains of nerve cells toward the central nervous system and brain, Adalja said. That journey can take anywhere from days to months, depending on where on the body the person was exposed. A bite on the face, will have a shorter incubation period than a bite on the foot and usually the farther the longer the incubation period will be. Once clinical signs occur an infected person dies within some few days. The initial symptoms of rabies according to Dr. Adalja includes fever, headache, and after these initial symptoms the virus progress to some more severe symptoms like anxiety and confusion, encephalitis, leading to hallucination, coma, hypersalivation, hydrophobia or fear of water. When the virus progress to this advanced stage which is usually about two weeks after the initial stage, it become too severe for the brain to survive. Eventually the infected individual may die at this critical stage said Dr. Adalja. Can a rabies infected person survive? The answer is yes, provided the infected person seek urgent medical treatment immediately he is exposed to the virus. The rabies vaccine will prevent the virus from incubating if taken before the symptoms begins, according to Dr. Adalja. According to the Florida Department of Health “if an exposure to rabies virus occurred, it is important to administer treatment in timely manner”. Also avoiding direct contact with wild animal is the first precaution to prevents rabies infection.